This espresso dessert is a fun wonderful treat after a meal. Hey, you put cream and sugar in your coffee anyway, right? Place 1 small scoop of vanilla ice cream in 4 small glasses. Serve 2 hot espresso shots in a small cup alongside each glass. 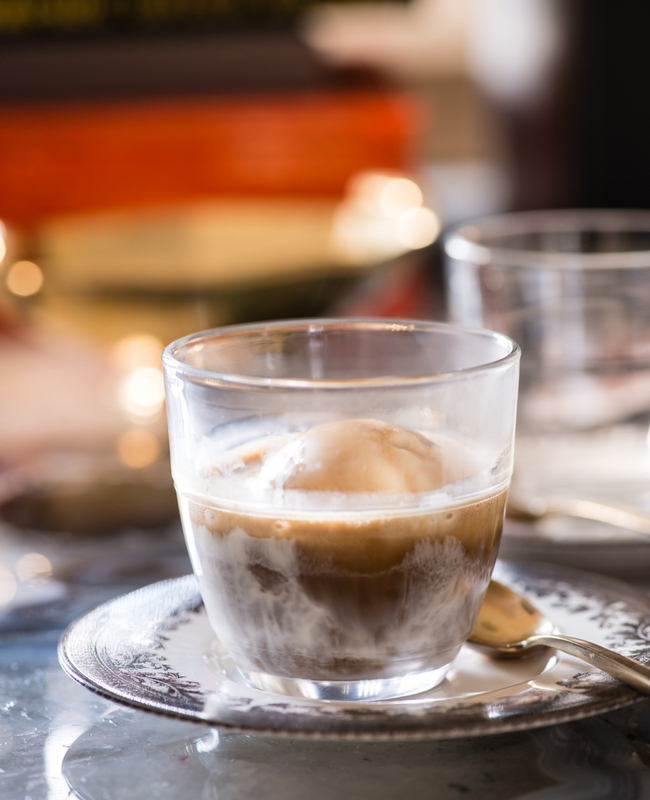 Have guests pour the espresso over the ice cream.